Wood windows are beautiful: plain and simple. They are the premier choice; having the power to transform or set the tone of a room. Wood windows have a superior insulating value and are usually clad on the exterior with a durable finishing material; perfect for withstanding the seasons of Michigan weather. 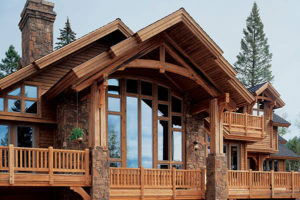 If you want your home to have that gorgeous, craftsman look from a natural product, wood windows are the clear choice. At AOA, our windows are made with the finest wood interiors of pine, alder, or fir; ensuring your new wood windows will feel right at home, no matter how you choose to design yours. Natural wood serves as one of the most energy efficient and sustainable building materials available. 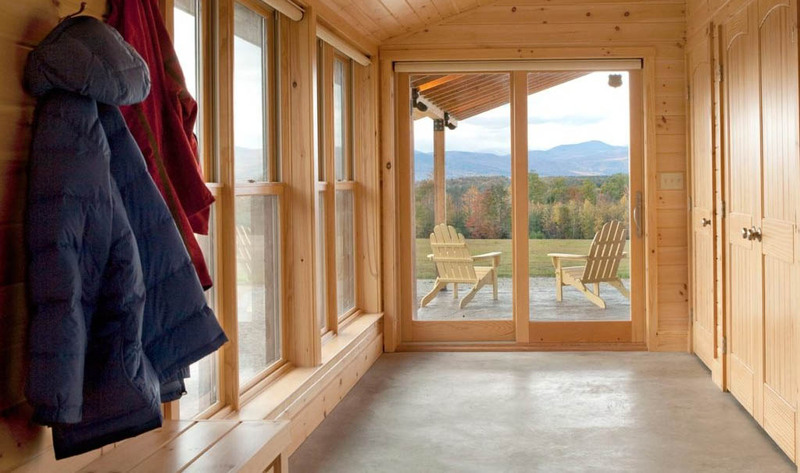 Windows made with wood are 400x more insulating than steel windows and up to 1800x as insulating as vinyl windows. The timber used in our windows is always sourced from sustainably managed forests. Every wood window we sell is responsibly manufactured, in the USA, and requires 8x less energy to produce than a vinyl window. Wood windows also last longer when properly maintained, can save more energy over their lifetime, and carry longer warranties than many other window types. When you choose wood windows, you are not only making a statement about your taste and style; you’re making a choice to support environmentally sustainable manufacturing practices. At AOA, wood windows are our signature product; available in more finishes, colors, sizes, styles and hardware options than any other type of window we carry. We can cut wood windows into almost any shape and they can be finished in almost any color imaginable. With wood windows from AOA, the freedom to customize is yours. Because wood is a natural material, it handles expansion and contraction from temperature fluctuations better than almost any material. Which means wood windows won’t warp and crack over time. This also means wood windows are a perfect choice for Michigan’s hot summers and cold winters. Many modern wood windows are also clad on the outside in aluminum to enhance wood windows’ already stellar weather resistance. If maintained properly, wood windows could easily last you a lifetime. Wood windows have a reputation for being more difficult to maintain than they actually are. The fact is high-quality wood windows come with innovative, long-lasting sealants that have completely changed the maintenance level of wood windows. Simply dust and clean wood windows like you would any other type of window and they shouldn’t need to be re-sealed for decades. At AOA, we look at your choice to purchase wood windows a bit like an investment. While wood windows will cost you more initially, they are simply more energy efficient than most other windows. A properly maintained wood window will also retain higher levels of energy efficiency over time compared to other window types and likely won’t need to be replaced for decades, if ever. With many other window materials, degradation to core energy efficiency happens faster, leading to the need to replace your windows more often. When you love the naturally beauty of wood interiors, but are looking for a cost-effective and impressively durable exterior, we can help you explore aluminum-clad wood window options. Aluminum-clad wood windows have all the interior finishing options you could want and the aluminum exteriors are available in a variety of classic colors.